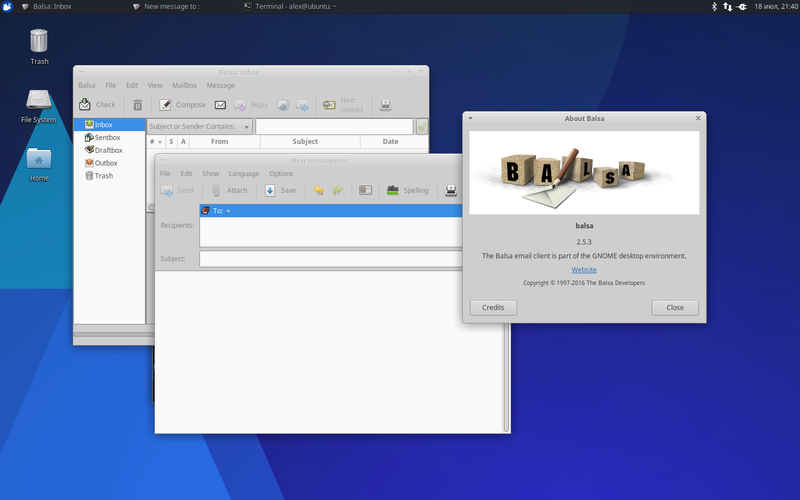 Balsa is a highly configurable and robust mail client for the GNOME desktop. It supports both POP3 and IMAP servers as well as the mbox, maildir and mh local mailbox formats. Balsa also supports SMTP and/or the use of a local MTA such as Sendmail. Support for Kerberos and SSL has been enabled in this package.